Is Tron Lightcycle Power Run coming to the U.S? Rumours have it, Shanghai Disneyland’s TRON Lightcycle Power Run roller coaster may soon be making its way overseas to the major U.S. Disney parks! According to sources, budget and preliminary design teams for Walt Disney World and Disneyland Resorts have been sent out to Shanghai to transform the idea into reality in the U.S. The addition of a TRON ride to Disney’s U.S. theme parks would be a great addition to the new movie-themed coaster and attractions at Disneyland and Disney World. The Guardians of the Galaxy mission : BREAKOUT attraction is now under-construction at Disney’s California Adventure park, while the massive Pandora: The World of Avatar has recently opened in Animal Kingdom. Furthermore, Star Wars Land rides and attractions are currently being made ahead of their openings at Disney parks in both California and Florida. Therefore, it would make sense to announce another movie-themed coaster. 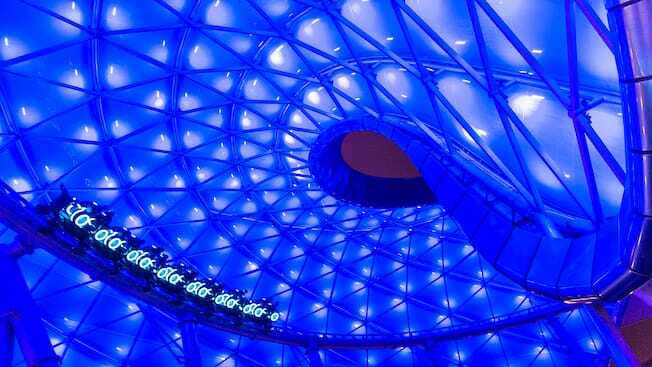 The Lightcycle ride momentarily places fans into the world of Tron in a lightening speed roller coaster. As seen in the video here, the experience is over in less than two minutes, but it still looks amazingly fun! It is yet to be confirmed but with D23 just round the corner, we are left to ponder whether Disney will announce the coaster as soon as this weekend! Let us know in the comments, what you think of this new coaster, which we could see in our parks within the next couple of years!